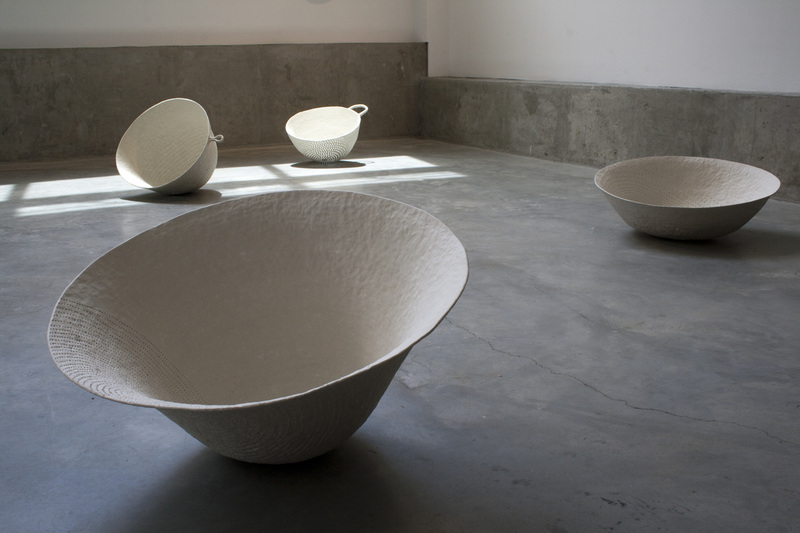 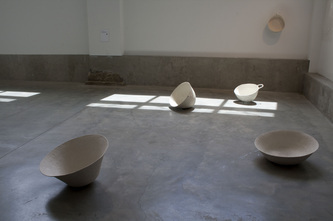 A state in which the opposing forces and not equal and don't cancel out each other was an installation consisting of five large porcelain vessels balancing on the concrete gallery floor. 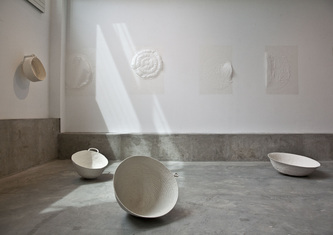 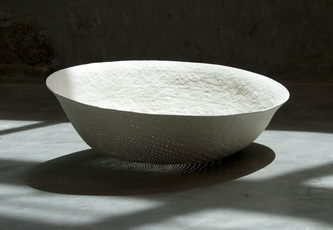 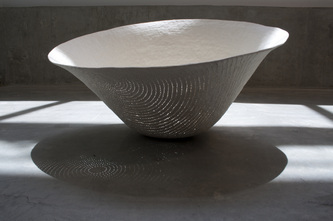 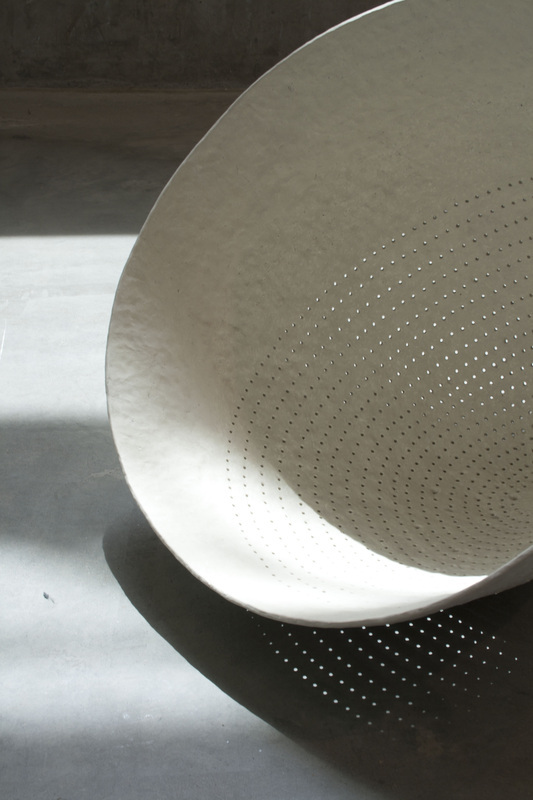 The individual forms measure between 15 and 25 inches in diameter. 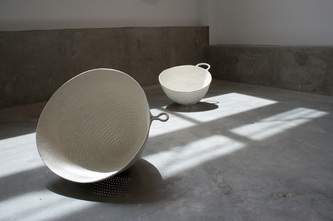 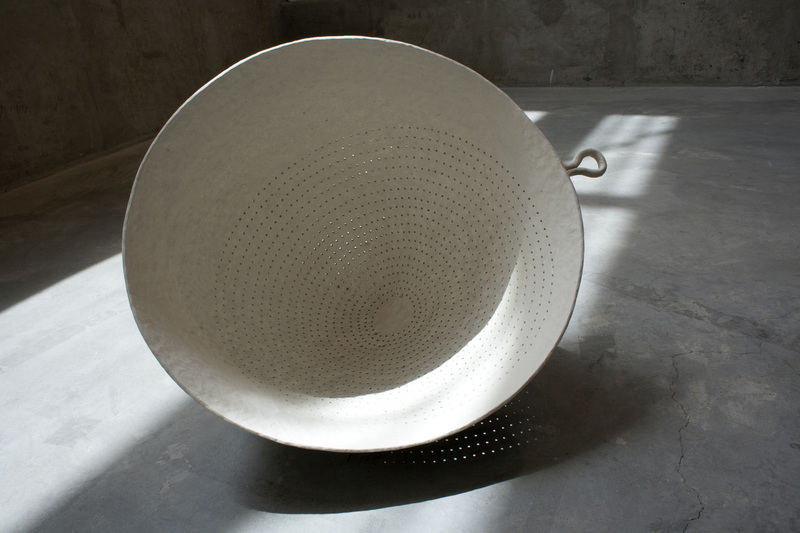 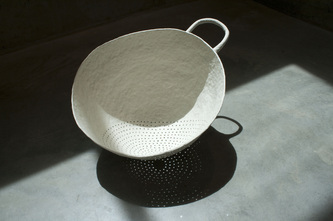 Each vessel was hand built using pinching and coiling techniques and later densely perforated. At different times of the day natural light would flood the gallery space, penetrating the tiny holes in the vessels, to cast dramatic shadows and create a beautiful temporary spectacle.